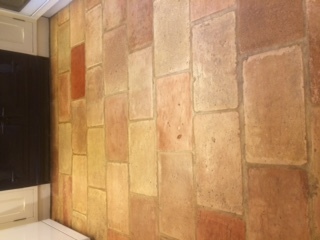 I’ve recently completed a strip, clean and reseal of a customers kitchen floor. 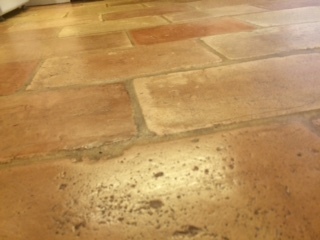 The floor was of clay tiles, similar to bricks in appearance. 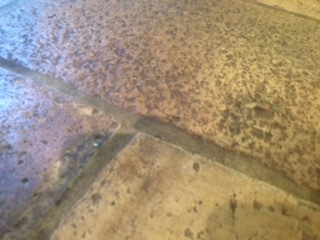 This meant that there were lots of small indentations in the surface and no matter how often they were cleaned over time they had gathered dirt in these indents that simply wouldn’t come out with normal cleaning. 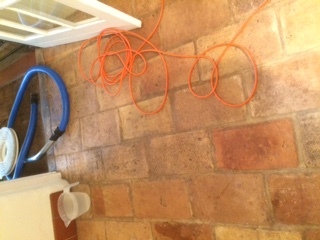 When I attended to conduct a free survey I did a small test area to show what could be achieved. 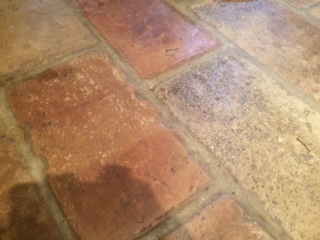 From the customers could be sure that I could get the floor back to its original state. 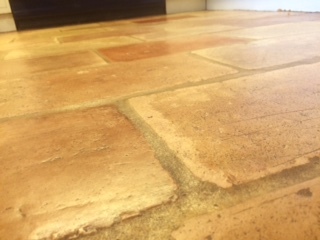 We then discussed the finish that the customer wanted on the finished floor. The options were to have a natural unfinished look with what is known as an impregnating seal. This soaks into the surface of the stone to create a layer that is invisible but which repels water, oil and anything else that may be spilt on the stone. 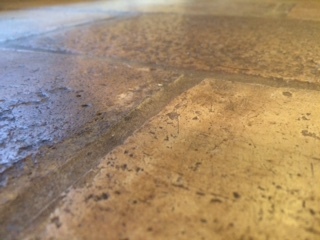 The second option was for a topical seal which sits on the surface of the stone and will give a light sheen to the surface. This type of seal can also enhance the look of some types of stone by bringing out the colours in them or can be given a high gloss finish if that is wanted.